Number 33 is a charming mid-terrace home located close to the entrance of Castle Glen. This lovely house is ideal for either first time buyers or someone looking to downsize. In a great location, Castle Glen is well serviced by public transport with both a local bus service and Mathews Bus stops located within a short walk. Number 33 comprises of an entrance hall off which is the living room with gas fire and double doors through to the kitchen/diner. The kitchen/diner is complete with integrated cooker/oven and tiled kitchen area. Sliding doors from the kitchen/diner lead out to the south facing back garden. Upstairs there are two generous sized bedrooms and a family bathroom. The attic has also been partially floored to provide additional storage which can be accessed using stira stairs. Donacarney is a small hamlet located along the east coast of Meath. Close to all local amenities with Tesco, Dunnes Stores and South Gate Shopping Centre only a few minutes’ drive away. 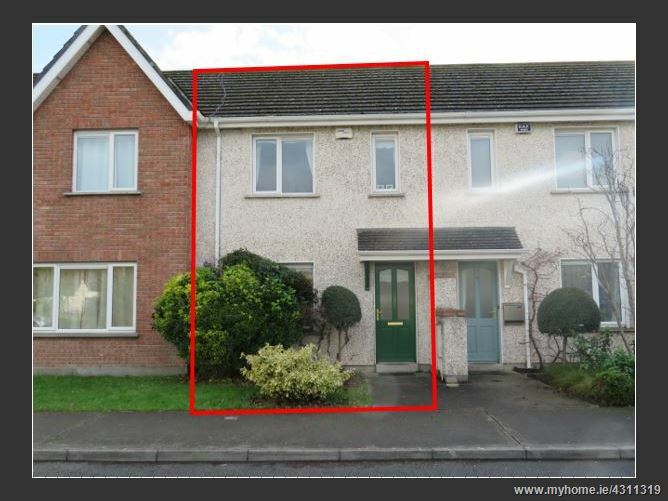 This quiet area is well serviced by public transport with both Bus Eireann and Mathews Bus stops within walking distance. Only a short drive away you will find mainline rail transport to Dublin/Belfast at both Laytown and Drogheda. Also within easy reach is the M1 motorway to Dublin and Belfast. •	Excellent public transport links. •	Close to local amenities.